People are multitasking more than ever and it can be very hard to keep your work and personal life organized. How many of you routinely have dozens of tabs open in your web browser? And how many apps do you have open as well? The different things you are working on are mixed up with everything else making it difficult to switch between the items you are juggling. Virtual Desktops in Windows 10 provide a great way simplify the chaos keep everything organized. For example, I like to use separate virtual desktops to keep my personal life separate from my work life. I have separate web browsers on each desktop, along with other apps that are unique to one type of work. This allows me to quickly jump into something and then switch back as needed without ever losing my place. 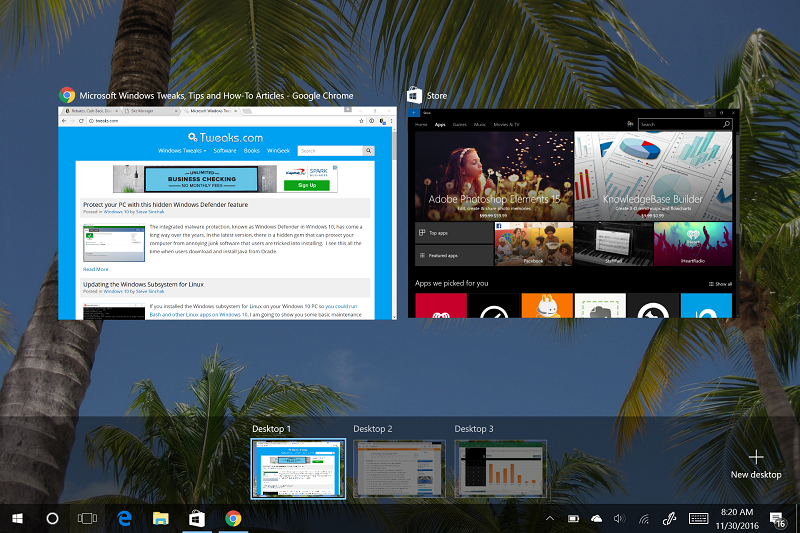 Using virtual desktops in Windows 10 is centered around the Task View button on the taskbar. 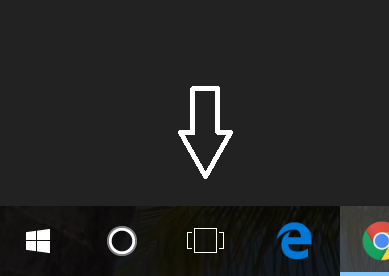 This button can be found next to the right of the Cortana icon on the taskbar or you can hit Windows Key + Tab on your keyboard. When the Task View is active, you will find a button to create a new virtual desktop on the bottom right corner of the screen. For keyboard shortcut junkies, hit the Windows Key + Ctrl + D to create a new virtual desktop. Once a new virtual desktop is created, you will see it displayed on the bottom of the Task View screen. Hovering over the virtual desktop thumbnails will display the windows on the desktop. Click on the thumbnail to switch to it, or you can hit the Windows Key + Ctrl + Right or Left Arrow to switch between virtual desktops. You can close a virtual desktop just like closing a Window by hitting the "X" while hovering over a virtual desktop thumbnail on the Task View screen. Alternatively, you can hit Windows Key + Ctrl + F4 to close the virtual desktop that is currently active. When you close a virtual desktop any open windows will be moved to the default desktop. If you have a Virtual Desktop tip that you use to keep organized, please share it below in the comments.